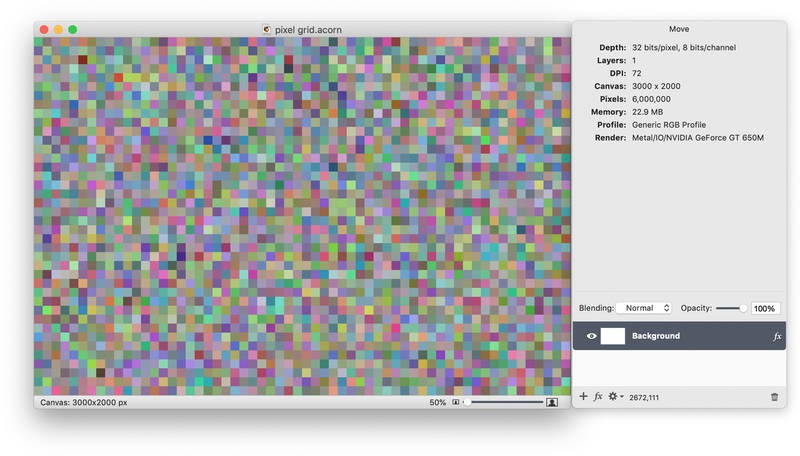 In this tutorial you'll learn how to create a pixel grid from scratch. To start, create a new image, File ▸ New. Dimensions of 3000 x 2000 with a transparent background is used here. Go to Filter ▸ Generator ▸ Random Noise. 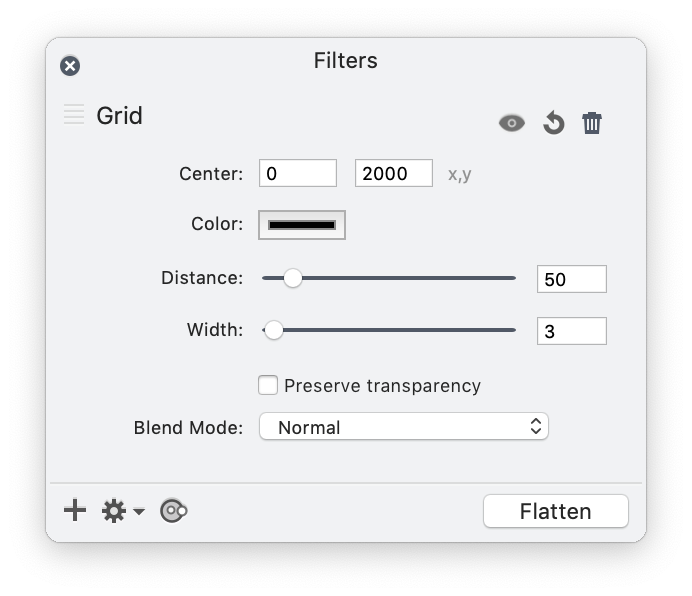 Click the ‘+’ button in the lower lefthand side of the filter window and add the Stylize ▸ Pixelate filter. The settings used here can be seen below. Add a new layer, Layer ▸ New Layer. Go to Filter ▸ Generator ▸ Grid. The settings used here can be seen below. Set the color of the grid to white. 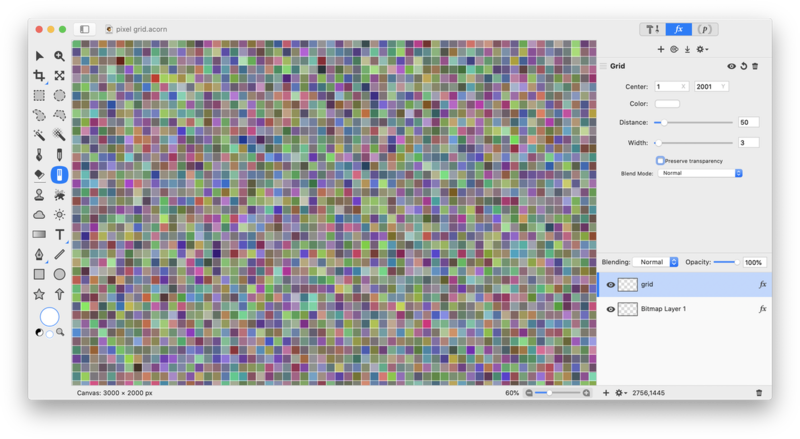 Adjust the grid location by changing its coordinates by one pixel in each direction. Add a new layer, Layer ▸ New Layer. 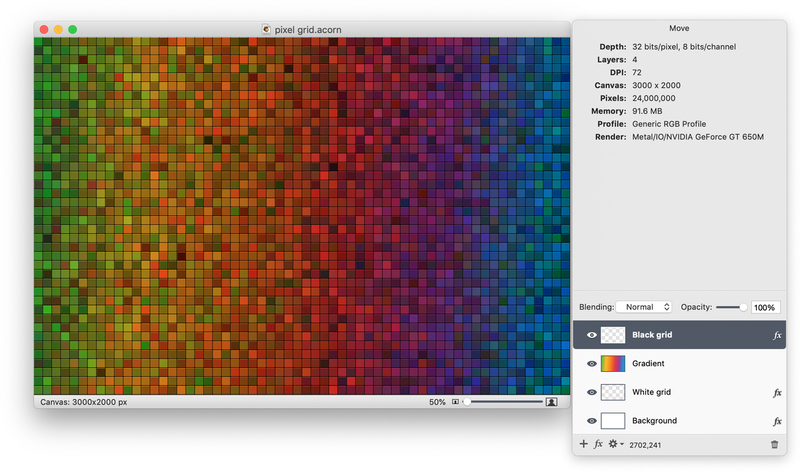 Using the gradient tool, drag a gradient across the image. The preset rainbow gradient is used here. Change the blending mode of the layer to ‘Multiply’. Add a new layer, Layer ▸ New Layer. Go to Filter ▸ Generator ▸ Grid. The settings used here can be seen below. 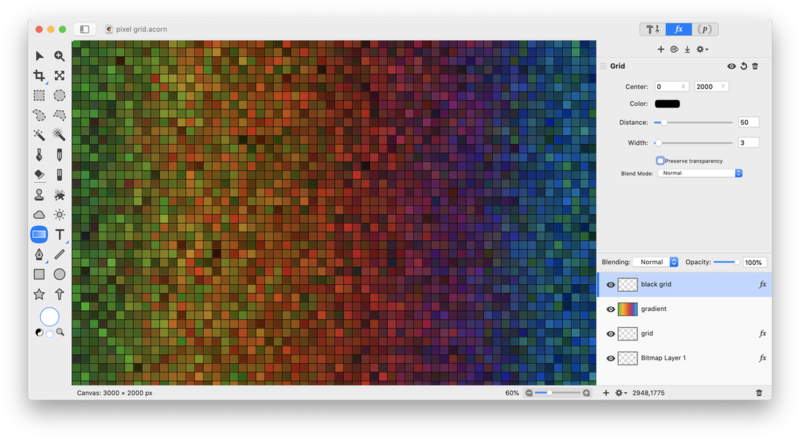 Set the color of the grid to black. 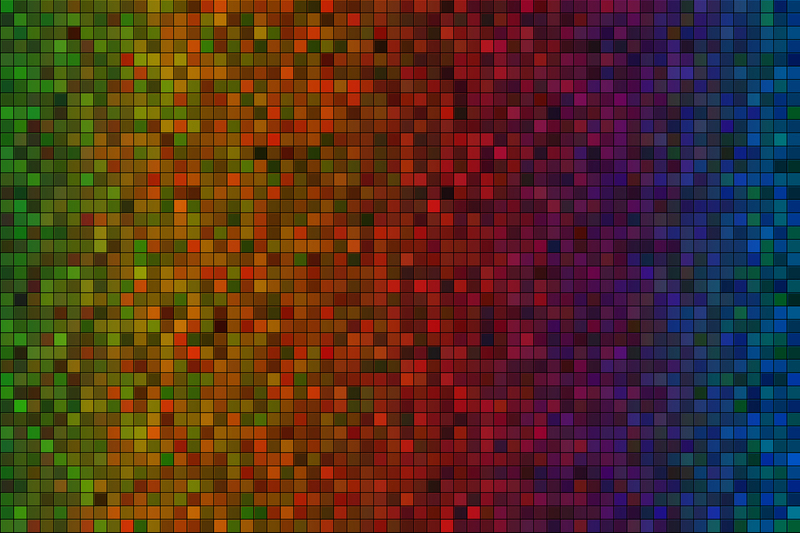 And the pixel grid is done.